"Power over the cue ball, over the object ball, is i)ou>er over owselves"
This is the first effect I ever published. It appeared under my namfc in Harry Lorayne's Afterthoughts. The fact that I'm still using it today is a testament to its strength. In the thirty years I've been performing it, the handling and presentation have changed in small but important ways. What follows is exactly the way I do it today. 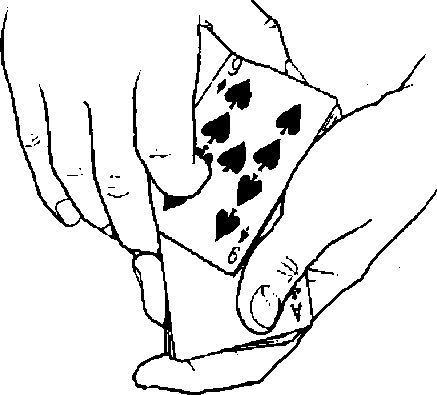 If you want to impress an audience with your control over a deck of cards, you'll find few impromptu items as effective.